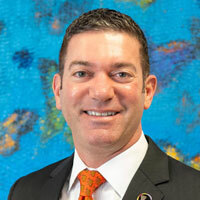 Michael Hecht is President & CEO of Greater New Orleans, Inc., the economic development agency for southeast Louisiana. GNO, Inc.’s mission is to create a region where our kids can stay and prosper. Under Michael’s leadership, GNO, Inc. was recently named a “Top Economic Development Organization in the United States” (one of 11 of 2,300) by Site Selection magazine. Before coming to GNO, Inc. Michael led the quarter-billion dollar Katrina Small Business Recovery Program for the State. Previous to coming home to Louisiana, Michael worked for Mayor Michael Bloomberg in New York City, running the post-9/11 small business program. Michael’s entrepreneurial experience includes co-founding a conglomerate of restaurant ventures, including “Foreign Cinema,” named Restaurant of the Year 2000 in San Francisco. He began his career as a strategic management consultant in the US, Canada, Europe and Australia. Michael holds an MBA from Stanford Graduate School of Business, and an undergraduate degree from Yale. With family roots in Louisiana back to the 1830s, Michael now lives in New Orleans with his wife, Marlene, an ESL professor at Delgado, and his two sons, Dexter and Kaj (“Kī”). 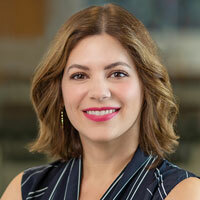 Caitlin Berni is a partner in Berni Consulting, a local public affairs and consulting firm based in New Orleans. 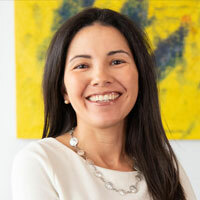 She leads public affairs campaigns for corporate, nonprofit, and advocacy clients both in New Orleans and nationally. She brings a deep understanding of the intersection of policy, politics, and press to her clients. Prior to joining Berni Consulting, Caitlin served as the Senior Vice President of Policy and Communications at Greater New Orleans, Inc., the regional economic development organization for Southeast Louisiana. At GNO, Inc., Caitlin launched and ran the Coalition for Sustainable Flood Insurance, a national organization committed to flood insurance affordability and sustainability. She continues to work on this issue on behalf of GNO, Inc. in her new capacity. Before GNO, Inc., Caitlin worked on Capitol Hill for House Majority Whip Steve Scalise and the House Ways and Means Committee. Caitlin is a graduate of Louisiana State University, where she received a bachelor of arts in political science. She is a graduate of the New Orleans Regional Leadership Institute and Tulane’s Early Childhood Policy Leadership Institute. As the Vice President of Policy for Greater New Orleans, Inc., Ileana leads the organization’s legislative affairs efforts as well as day-to-day policy operations. These initiatives involve everything from building catalytic assets and supporting fiscal reform to workforce and leadership development. She works closely with partners in developing and advancing policies that further GNO, Inc.’s mission of creating a thriving regional economy. Ileana works with CSFI leadership to research and develop policy proposals that ensure the availability and affordability of flood insurance. Her experience with insurance matters extends to her work as Deputy Commissioner of Public Affairs for the Louisiana Department of Insurance. Prior to that she managed communications and stakeholder engagement at the Louisiana Department of Education. Ileana is a New Orleans native and graduated from The George Washington University’s Elliott School of International Affairs.